For most men ‘the Humidor’ is the most beautiful thing they own. I must say that my humidor is the envy of all my friends. What’s not to love? With its shiny finish, sleek curves, and a see thru glass top that turns the head of every man. It’s naughty to be sure, and my ‘Love-Affair’ is certainly more about what’s on the inside than just the pretty exterior. All the same it still makes me giddy every time I glance its way. 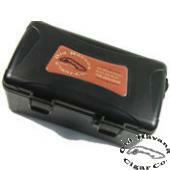 We have humidors so beautiful that they have been known to make men and even a few Presidents lie. Even your wife will welcome these beauties into your home with open arms. Count: The Humidor Holds up to 15 Cigars. 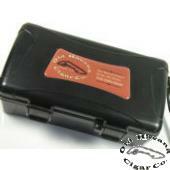 Count: The Humidor Holds up to 5 Cigars.